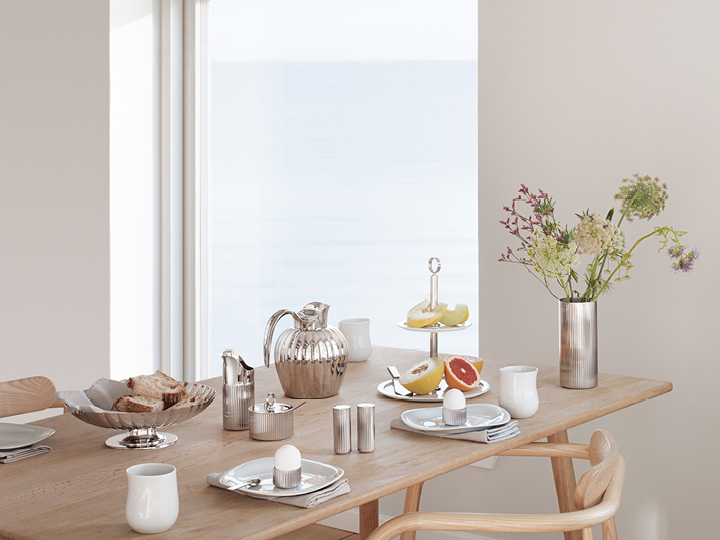 It was over fifteen years ago that Georg Jensen introduced the Bernadotte collection, bringing the timeless beauty of the eponymous designer's work to a whole new generation. This year sees the introduction of eight new pieces in the Bernadotte collection, creating a larger and more complete tableware offering. 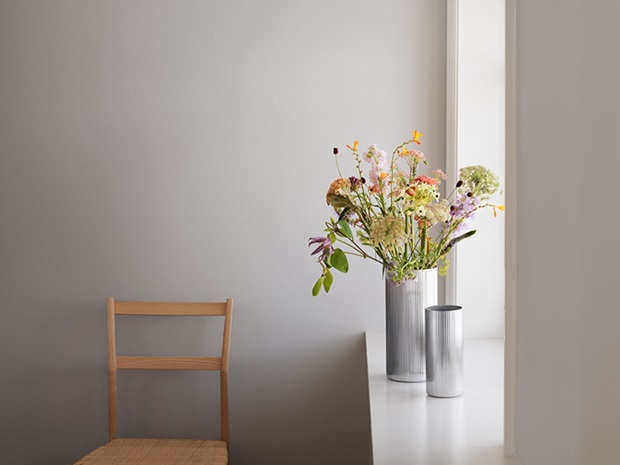 Drawing on the master’s signature grooves, first seen on his iconic silver pitcher from 1938, the two steel vases are gorgeous when displaying flowers but equally beautiful when empty and used as decorative pieces. Similarly the creamer, shakers, egg cups and sugar bowl make striking additions to any table setting. Finally, a serving plate, etagere and various cutlery items create elegant conversation pieces when home entertaining and also make thoughtful gifts. When the young Swedish prince Sigvard Bernadotte collaborated with Georg Jensen, back in 1930, the results for the silversmith were revolutionary. Greatly influenced by the emerging functionalist movement in design, Bernadotte's sleek and geometrical pieces were in stark contrast to the company's previous work with their Art Nouveau flourishes and details. This new style was an immediate hit and became so influential that the pared down modernism of his work became part of the defining Georg Jensen visual language still apparent to this day. Unsurprisingly, Bernadotte’s elegant and timeless designs still resonate nearly a century later, with the minimalism of his very early work and the iconic grooves of his most popular pieces looking as modern today as when first created. 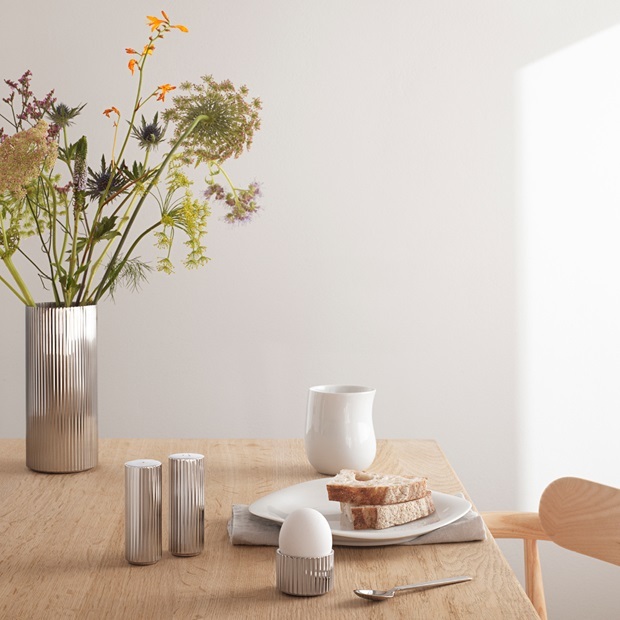 In 2002 Georg Jensen introduced the first Bernadotte steel pieces, transferring details and shapes of his original silver pieces into more affordable and easy-to-care stainless steel. Still requiring expert craftsmanship in their construction, the cutlery, jugs and bowls have become modern classics and hugely popular additions to homes across the world.